Born in Germany 1879, Albert Einstein is one of the most celebrated scientists of the Twentieth Century. His theories on relativity laid the framework for a new branch of physics, and Einstein’s E = mc2 on mass-energy equivalence is one of the most famous formulas in the world. In 1921, he was awarded the Nobel Prize in Physics for his contributions to theoretical physics and the evolution of Quantum Theory. Einstein is also well known as an original free-thinker, speaking on a range of humanitarian and global issues. After contributing to the theoretical development of nuclear physics and encouraging F.D. Roosevelt to start the Manhattan Project, he later spoke out against the use of nuclear weapons. Born in Germany to Jewish parents, Einstein settled in Switzerland and then, after Hitler’s rise to power, the United States. Einstein was a truly global man and one of the undisputed genius’ of the Twentieth Century. 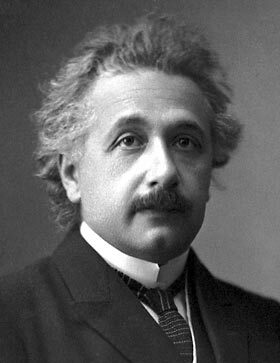 Einstein was born 14 March 1879, in Ulm the German Empire. His parents were working-class (salesman/engineer) and non-observant Jews. Aged 15, the family moved to Milan, Italy where his father hoped Albert would become a mechanical engineer. However, despite Einstein’s intellect and thirst for knowledge, his early academic reports suggested anything but a glittering career in academia. His teachers found him dim and slow to learn. 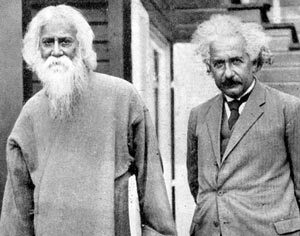 Part of the problem was that Albert expressed no interest in learning languages and the learning by rote that was popular at the time. At the age of 12, Einstein picked up a book on geometry and read it cover to cover. – He would later refer to it as his ‘holy booklet’. He became fascinated by maths and taught himself – becoming acquainted with the great scientific discoveries of the age. Despite Albert’s independent learning, he languished at school. Eventually, he was asked to leave by the authorities because his indifference was setting a bad example to other students. He applied for admission to the Federal Institute of Technology in Zurich. His first attempt was a failure because he failed exams in botany, zoology and languages. However, he passed the next year and in 1900 became a Swiss citizen. At college, he met a fellow student Mileva Maric, and after a long friendship, they married in 1903; they had two sons before divorcing several years later. In 1896 Einstein renounced his German citizenship to avoid military conscription. For five years he was stateless, before successfully applying for Swiss citizenship in 1901. After graduating from Zurich college, he attempted to gain a teaching post but none was fortcoming; instead he gained a job in the Swiss Patent Office. While working at the Patent Office, Einstein continued his own scientific discoveries and began radical experiments to consider the nature of light and space. Einstein suggested that light doesn’t just travel as waves but as electric currents. This photoelectric effect could force metals to release a tiny stream of particles known as ‘quanta’. From this Quantum Theory, other inventors were able to develop devices such as television and movies. He was awarded the Nobel Prize in Physics in 1921. Thus there is no fixed absolute standard of comparison for judging the motion of the earth or plants. It was revolutionary because previously people had thought time and distance are absolutes. But, Einstein proved this not to be true. He also said that if electrons travelled at close to the speed of light, their weight would increase. Where E = energy m = mass and c = speed of light. Working from a basis of special relativity. Einstein sought to express all physical laws using equations based on mathematical equations. He devoted the last period of his life trying to formulate a final unified field theory which included a rational explanation for electromagnetism. However, he was to be frustrated in searching for this final breakthrough theory. In 1911, Einstein predicted the sun’s gravity would bend the light of another star. He based this on his new general theory of relativity. On 29 May 1919, during a solar eclipse, British astronomer and physicist Sir Arthur Eddington was able to confirm Einstein’s prediction. The news was published in newspapers around the world, and it made Einstein internationally known as a leading physicist. It was also symbolic of international co-operation between British and German scientists after the horrors of the First World War. In the 1920s, Einstein travelled around the world – including the UK, US, Japan, Palestine and other countries. Einstein gave lectures to packed audiences and became an internationally recognised figure for his work on physics, but also his wider observations on world affairs. During the 1920s, other scientists started developing the work of Einstein and coming to different conclusions on Quantum Physics. In 1925 and 1926, Einstein took part in debates with Max Born about the nature of relativity and quantum physics. Although the two disagreed on physics, they shared a mutual admiration. As a German Jew, Einstein was threatened by the rise of the Nazi party. 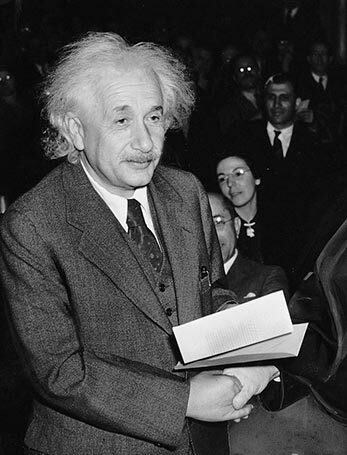 In 1933, when the Nazi’s seized power, they confiscated Einstein’s property, and later started burning his books. Einstein, then in England, took an offer to go to Princeton University in the US. He later wrote that he never had strong opinions about race and nationality but saw himself as a citizen of the world. Einstein professed belief in a God “Who reveals himself in the harmony of all being”. But, he followed no established religion. His view of God sought to establish a harmony between science and religion. Albert Einstein was involved in many civil rights movements such as the American campaign to end lynching. He joined the National Association for the Advancement of Colored People (NAACP) and considered racism, America’s worst disease. But he also spoke highly of the meritocracy in American society and the value of being able to speak freely. On the outbreak of war in 1939, Einstein wrote to President Roosevelt about the prospect of Germany developing an atomic bomb. He warned Roosevelt that the Germans were working on a bomb with a devastating potential. Roosevelt headed his advice and started the Manhattan project to develop the US atom bomb. But, after the war ended, Einstein reverted to his pacifist views. Einstein said after the war. 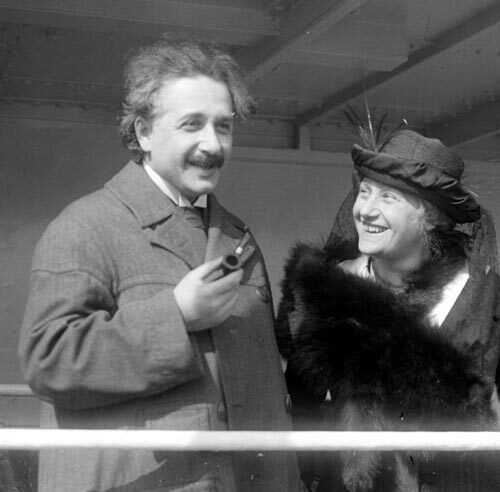 Einstein was feted as a scientist, but he was a polymath with interests in many fields. In particular, he loved music. He wrote that if he had not been a scientist, he would have been a musician. Einstein played the violin to a high standard. Einstein died in 1955, at his request his brain and vital organs were removed for scientific study. Citation: Pettinger, Tejvan. 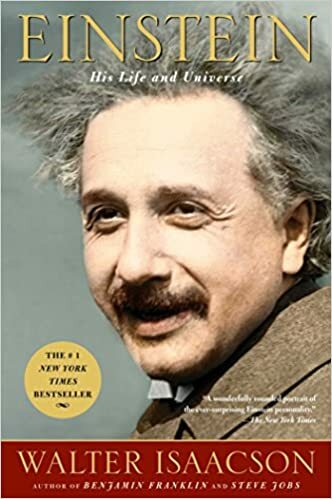 “Biography of Albert Einstein”, Oxford, www.biographyonline.net 23 Feb. 2008. Updated 2nd March 2017. Scientists – Famous scientists from Aristotle and Archimedes to Isaac Newton and Charles Darwin. Including mathematicians, biologists, physicists and chemists. Famous pacifists – People who refused to fight and people who supported different forms of pacifism. Includes Leo Tolstoy, Albert Einstein and Mahatma Gandhi. Albert E is awesome! Thanks for this website!! Albert Einstein is the best scientist ever! He shall live forever! Thank u Albert for discovering all this and all the wonderful things u did!!!! Thank you so much, This biography really motivates me a lot. and I Have started to copy of Sir Albert Einstein’s habit. By this inspired has been I !!!!!!!!!!!!!!!!!!!!! Thanks so much,Albert E . I grap too many knowledgable things which can help my education life.